In an op-ed published on CNN.com, The Senate and House Minority Leaders, Chuck Schumer (D-N.Y.) and Nancy Pelosi (D-Calif.) offer a passionate plea for passage of the DREAM Act amnesty. Predictably, the op-ed highlights the poster boy and poster girl DACA beneficiaries in order to create the impression in readers’ minds that they are typical of all illegal aliens who arrived in this country as minors. 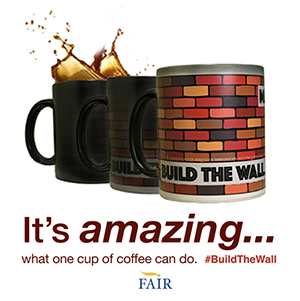 They also make special note of the $1.2 billion current DACA beneficiaries are paying in taxes, hoping that no one will notice that it amounts to about 1/40th of 1 percent of the federal budget. But even less honest is Schumer and Pelosi’s assertions that “we made a promise to these young people and we asked them to trust us with their information and their livelihood.” We promised them nothing. When President Obama created DACA, a program that he repeatedly denied he had the constitutional authority to implement, he made it crystal clear that this was a temporary program that might not outlive his administration. The only promise he made was that ICE would not enforce the law against this subset of illegal aliens while he was in office. He is not in office any more. You can’t break a promise that was never made. You can break promises that were made, and when it comes to breaking immigration promise there is no one more accomplished than Chuck Schumer. Schumer was one of the House leaders on the 1986 Immigration Reform and Control Act which promised the American people future immigration enforcement in exchange for amnesty for some 3 million illegal aliens at the time, including border security and an effective method of preventing illegal aliens from gaining employment in the U.S. 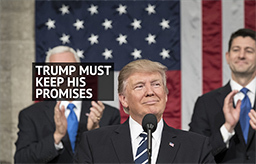 Promises made, promises broken. 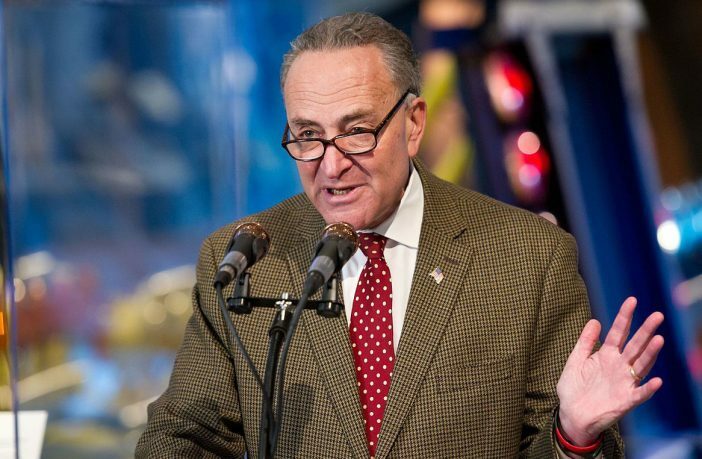 Schumer was in the Senate in 1996 when Congress passed legislation prohibiting sanctuary policies and barring states from offering in-state tuition benefits to illegal aliens (like the two poster children in the op-ed are receiving) unless they offer the same subsidies to out-of-state American citizens. 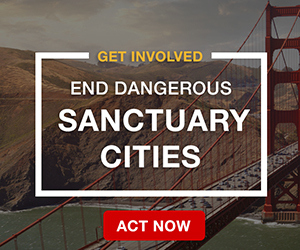 The bill outlawed sanctuary jurisdictions, like the ones fiercely maintained in his and Pelosi’s home states. More promises made, more promises broken. Schumer was still in the Senate, moving up the leadership ranks, in 2006 when he, along with Barack Obama, Hillary Clinton, and Joe Biden, voted for construction of secure fencing along the Southern border. As minority leader, he is threatening a budget impasse that would shut down the federal government in order to prevent that fence from being constructed. Another promise made, another promise broken. However, despite his demonstrable lack of credibility, we can take Schumer at his word that he will do everything in his power to gain full amnesty for as many illegal aliens as possible. Promise never made, promise kept. NO PROMISES were made to these people! And our senators need to start keeping their campaign promises or they need to be recalled. These senators were elected based on those promises and if they do not keep them, they are in those positions fraudulently! These people came to America uninvited by anyone other than the Democratic President! He had right to do so, but made certain that Border Patrol wasn’t able to send them home. Of course the President’s party want to cover his indiscretions, but with the majority in their hands, made no effort to rebuke him! The so called DACA’s have literally cost Americans billions of dollars that could have and should have been used elsewhere in the government! It’s very unlikely that any taxes paid by those individuals were unnoticeable in the billions Americans spent to feed, house, medicate, educate, protect, and even incarcerate. Their vacation is over, it’s time for them to go home and take advantage of what they’ve learned here! You can depend on Chuck for one thing. If his lips are moving, he’s lying. Of course, he pales in comparison to the champ liar of all time, Wrong Way Ted Kennedy, who dismissed all the criticisms of the 1965 immigration act he supported. 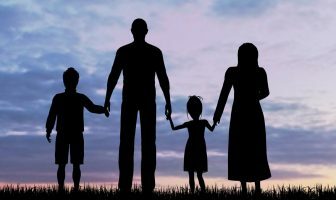 Critics said it would bring a million immigrants a year through chain migration and it would change the ethnic makeup of the country. Both happened. Then in 1986 Teddy promised that “never again” would another amnesty bill be brought to the floor of the Senate. I got a fund raising letter from a environmental group and it had one of the Kennedys talking about rafting trips down the Colorado with Uncle Bobby. Population then was 200 million. Yeah, and the mass immigration your family helped bring on us has added another 125 million people. How does that effect the environment. Weren’t we told DACA would only involve 800,000 people? Now 2 Republican senators, to give it a bipartisan twist, have introduced a bill to allow them to bring in relatives, meaning another two and a half million. They can’t even pass something before they change it. And the thing to be remembered is that even if a bill is passed with border enforcement, it doesn’t mean a future Congress won’t defund or change it. Case in point, the Secure Fence Act of 2006 described above. Don’t trust these double dealers. The media is making much of Puerto Rico. Certainly a strong hurricane, but it was an economic basket case before. Their debt had reached a crisis point, and their infrastructure was crumbling long before. Electric blackouts, water supplies threatened by reservoirs not maintained, and roads crumbling. All those on top of the fact that half the island is on food stamps and Medicaid, and they pay no federal income tax on money made there. The one thing they did do successfully is kick our Navy off an island base. Leland now I know for sure you wear your rear bumper on your face….Republicans and Reagan did that or you are fake news too….hahahaha!!!! Pale face….what a way…..what are you…monkey face!!! peter peter pumpkin eater, you, sir, are an ungrateful American. If you don’t like it, leave and take your useless comments with you! The thing I like the most about Trump , though he occasionally overdoes it, is that he is willing to call people out. As in all the complaints coming from Puerto Rico about “help”. According to KTLA 5 on Sept. 27: “A mountain of food, water, and other supplies has arrived in Puerto Rico’s main port of San Juan.” “Only 20% of truck drivers have reported back to work since Hurricane Maria swept thru. according to a spokesman for Puerto Rico’s governor Ricardo Rossello.” Typical leftist paradise. Nothing is our responsibility. Contrast that to first responders in Houston who left their flooded homes to do their jobs. Or the Cajun Navy who came from another state with their own boats to help. Florida upgraded it’s building codes significantly after Andrew in 1992. Since then those homes have done very well in other storms. Since Puerto Rico is constantly battered by hurricanes, maybe they need to do the same. A few well placed steel clips don’t cost that much. They owe 72 billion dollars in debt due to their financial mismanagement. NOt sure where they are going to get the money to rebuild. There is also the issue about fake PR birth certificates so that the illegal can claim US citizenship and also using PR and VI to get birth right citizenship for their babies when they dont even live on PR / VI. Well Leland, the mass migration my family brought gave you this land that you owe me. The migration was called The Winthrop fleet n fir the land my great grandfather was never paid back the millions he put to defend this land in 1776…… Lost an eye, arm etc….. So, thanks to my family you care here ungrateful monkey. Leland all politicians lie……u should grow up….